Princess Michael’s visit to South Africa coincides with the launch of her latest book A Cheetah’s Tale which chronicles her childhood on her father’s farm in Mozambique and the chance encounter with a cheetah cub that impacted her life.Here, she tells us more about her life-long passion for cheetahs, her work as Royal Patron of the Cheetah Conservation Fund and The Hoedspruit Endangered Species Centre, and the official African launch of her new book taking place in Joburg this week. “My interest in conservation came early. Once I had finished school, it was prompted by my visit to my father’s farm in Mozambique as a teenager. “I grew up knowing my father was a farmer but also a hunter both for meat and trophies. Strange as that sounds today, in the 1950s and ’60s, this was still considered what men living in the wilds of Africa did. “It was what I too believed once I arrived on the farm in 1962 although I learnt quickly that the shooting of prime wild game – elephant, rhino, buffalo, and other large animals – was very carefully restricted by the authorities. “Their reasoning was obvious – without restrictions these beautiful animals would be hunted to extinction. “My father’s care and understanding of the animals he hunted was immediately clear to me, strange as that may sound to people not familiar with the ways of the countryside. A real hunter literally loved the animals he hunted; a concept hard to comprehend today. “The events described in my book A Cheetah’s Tale happened in a different age. Since then, much has also changed (and changed for the better) in our attitudes to the conservation of wildlife, something I try to make clear in my book. “I have always loved cats and have been surrounded by them throughout my life, but I met my first cheetah, a tiny cub, on that visit to my father in my teens. 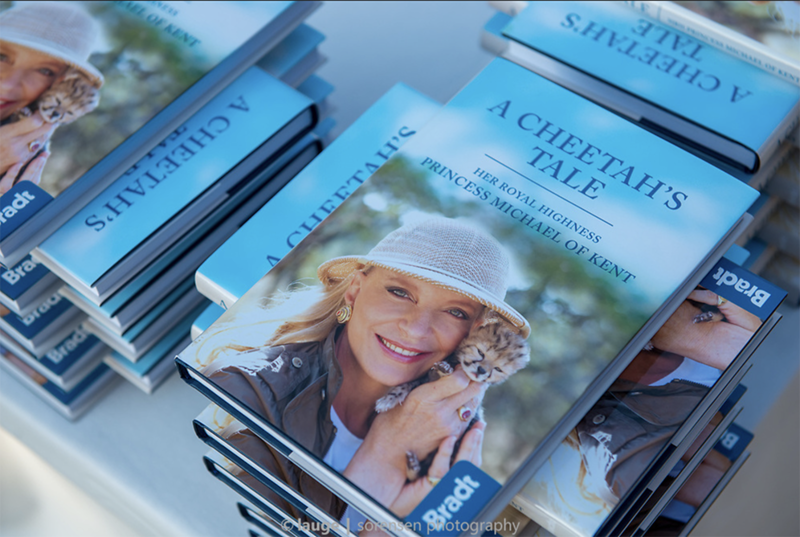 “In the book I tell the story of how we raised her and taught her to fend for herself – that is the story of A Cheetah’s Tale and it was this early experience which spurred on my life-long efforts to preserve what has become an endangered species. Plentiful in Africa in earlier centuries, cheetahs were imported to India and elsewhere in the Near and Fast East for sport and trained to act as man’s hunting dog. 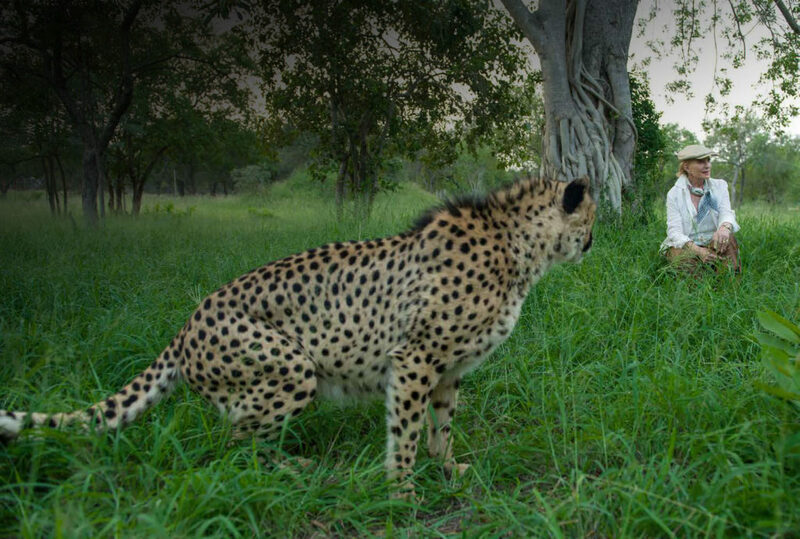 How have the cheetah’s numbers, once plentiful, dwindled to so few in the world today? And why? Man, is the sad answer. “The cheetah needs space and we have taken that space away to make room for farms. But Man also needs to live. The farmer knows that it’s far easier for a cheetah to steal a goat for his dinner than to chase and catch a fleet antelope. And so he shoots the cheetah. “There are some 7000 plus wild cheetahs left in the world today and roughly half that number exist in the savannah country of Namibia. 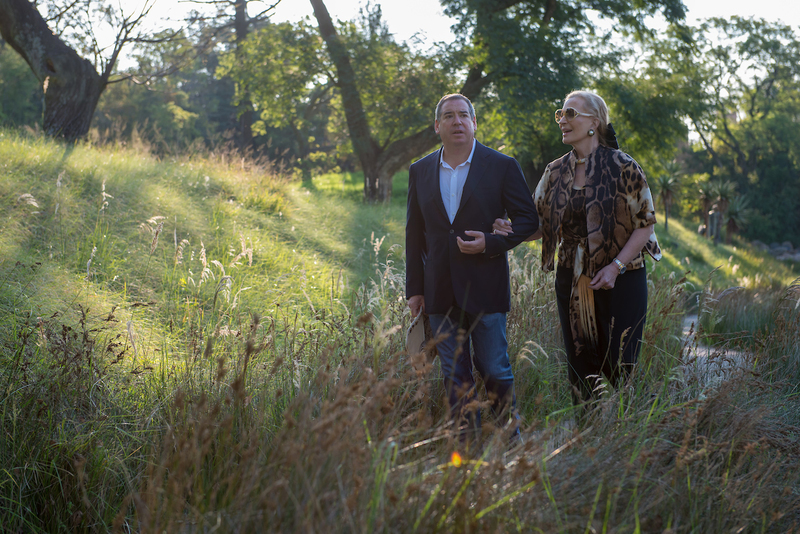 Dr Laurie Marker, founder and chief executive of the CCF (Cheetah Conservation Fund) of which I am the Royal Patron, looks after cheetahs on her land there. The CCF is primarily a teaching centre for the preservation of the cheetah. Dr Marker also helps farmers to resist shooting these animals that – not unreasonably – they see as a threat to their herds. “To do this, she breeds the Anatolian Shepherd dog, beautiful, big, beige with a black face and kindly nature and these she makes available to farmers. “At three months the puppies are placed with a herd with which they bond and then grow to protect it fiercely from predators. By the time they are fully grown, they stand taller and are heavier than a cheetah. “Although not aggressive, hearing their deep, threatening bark, predators – including the cats – stay away and the farmer has no need to shoot the cheetah. “It is remarkable how dogs are increasingly playing such a critical role in conservation, especially in the war on poaching. 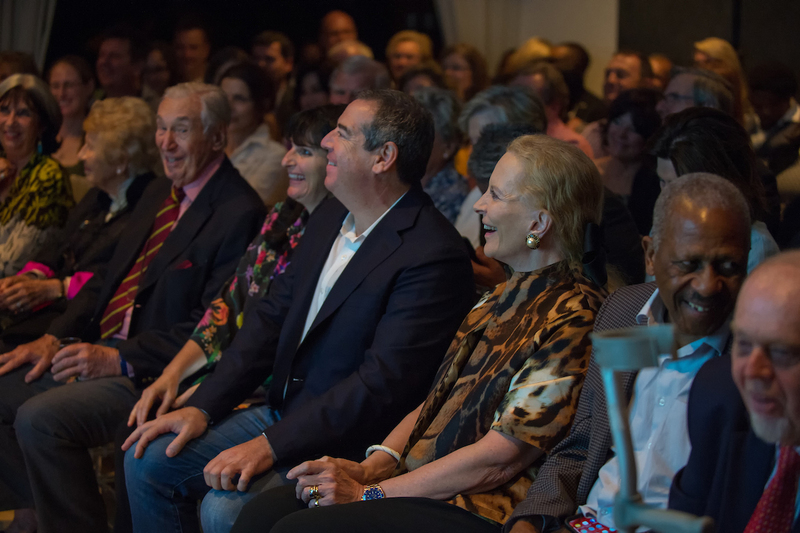 “I have learnt from the Ichikowitz Family Foundation how dogs are trained to skydive and rappel from helicopters to track down poachers. 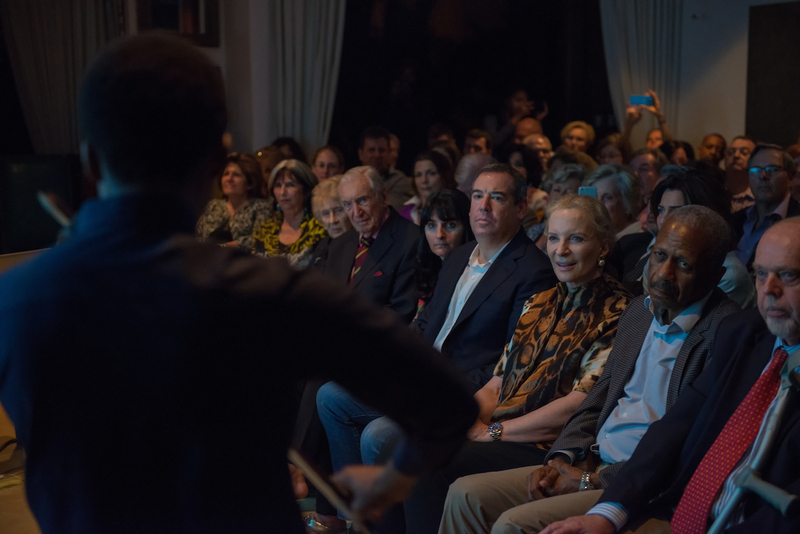 “I am always looking for new partners to join the cheetah’s plight and I am very pleased by the support of the Foundation, in partnership with Paramount K9 Solutions, for the donation of trained canines that will be used for researching cheetah populations, their diets and breeding habits. “A short quote from my book: ‘Cheetahs need space’ points out that those famous bursts of Olympic speed require great stretches of land, ideally desert or savannah. Like most cats, the male cheetah is territorial and, apart from any male siblings, he will try to exclude other males from his territory. But this can be hard – his home range is large, anything from 35 to 160km². “Game must be plentiful as well since, alone among the big cats, the cheetah declines to scavenge and won’t eat meat not freshly killed. “If challenged while eating by a bigger, stronger animal, a cheetah will not stay to protect its kill for fear of being wounded in a fight. Any wound to a cheetah’s legs would prevent it from hunting and it would starve. “If disturbed at a kill by, say, one hyena or a jackal, the cheetah will try to run it off, though not always successfully, but if faced with more than one, it will abandon its prize and be obliged to hunt again – Page 63). 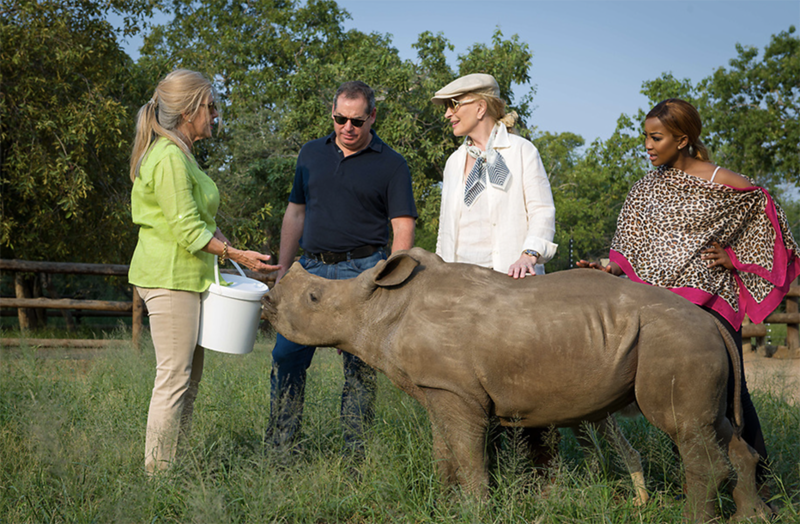 “I have also, for many years, been the Royal Patron of the HCES (Hoedspruit Centre of Endangered Species) in Limpopo. “This is where Lente Roode, founder and chief executive, breeds cheetahs for release into the wild and thus helps to preserve their numbers. While breeding cheetahs is not permitted in Namibia, it is encouraged in South Africa to prevent extinction. “As many zoos have discovered, the cheetah does not care to breed in captivity; a female prefers to choose her mate! “At Kapama near Hoedspruit, Roode has worked out a programme to make this possible and has successfully bred cheetahs there for release. “Unfortunately the lion population near her farm has multiplied dramatically and the problem now has become finding safe places where to release her cheetahs into the wild. Lions kill cheetahs – they hunt for the same food. “And so this is another task I have set myself – to find suitable safe places in the sub-continent to release Kapama’s cheetahs. “It is a place I love to visit each year in March in the hope of learning more about possible ways to help preserve these splendid animals. “Once I was made aware that the cheetah had become endangered, I was persuaded to write A Cheetah’s Tale in the hope that awareness of their plight might help to preserve them. It is common knowledge that the cheetah is a beautiful, elegant, big cat – and fast – but how many people realise that it is critically endangered?